2009 is turning out to be a stellar year for music. With new releases from standards like Dan Auerbach, Neko Case, M. Ward, Heartless Bastards, and Dead Confederate; as well as up-and-comers like Phosphorescent, Leopold & His Fiction, & Black Joe Lewis, there are plenty of good tunes out there to choose from. 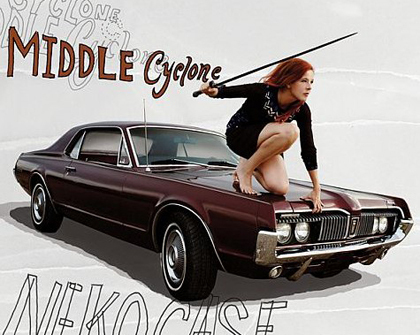 Perhaps the record I am most looking forward to dropping the needle on in 2009 is Neko Case’s upcoming Middle Cyclone. Starting today you can stream the entire album over on NPR. Middle Cyclone officially hits shelves March 3rd. Seeing as how The Black Keys are one of my favorite band’s going today, I was a bit skeptical when I heard Keys guitarist Dan Auerbach would be releasing a solo album. Luckily, Keep It Hid, which was released earlier this month, exceeds expectations, and stays true to the raw grittiness that is the Black Keys. Released last Tuesday, Americana-esque, singer-songwriter M. Ward’s, Hold Time is being regarded as his best yet. With appearances from Zoey Deschanel, Lucinda Williams, and Jason Lytle, Hold Time’s a keeper. Although Ohio rockers, The Heartless Bastards, have been doing their thing since 2005, they just recently showed up on my radar. Their third studio album, The Mountain, released on the highly esteemed Fat Possum label, takes the re-assembled Bastards to new heights. Georgia based lo-fi rocker Phosphorescent’s, To Willie, is reminiscent of Willie Nelson’s own To Lefty From Willie. Although I haven’t had a chance to sink my teeth into this one, I am looking forward to kicking back and giving it a good listen to.